Parents, doctors, nurses and midwives are encouraged to learn more about cord blood stem cells this week as the second ever World Cord Blood Day 2018 takes place. The initiative includes talks and workshops across the globe. They are intended to promote cord blood therapy, including a virtual webinar featuring leading researchers and industry experts. The event comes one month after the 30th anniversary of the first ever cord blood transplant, which took place on October 6th 1988. 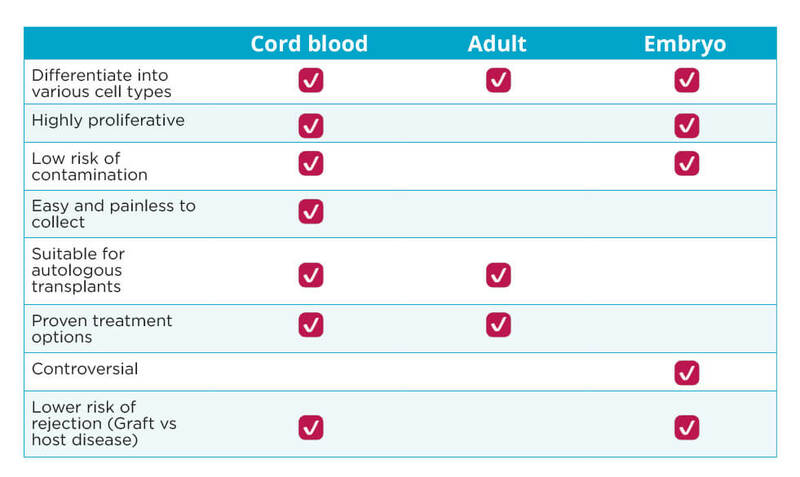 What is World Cord Blood Day? 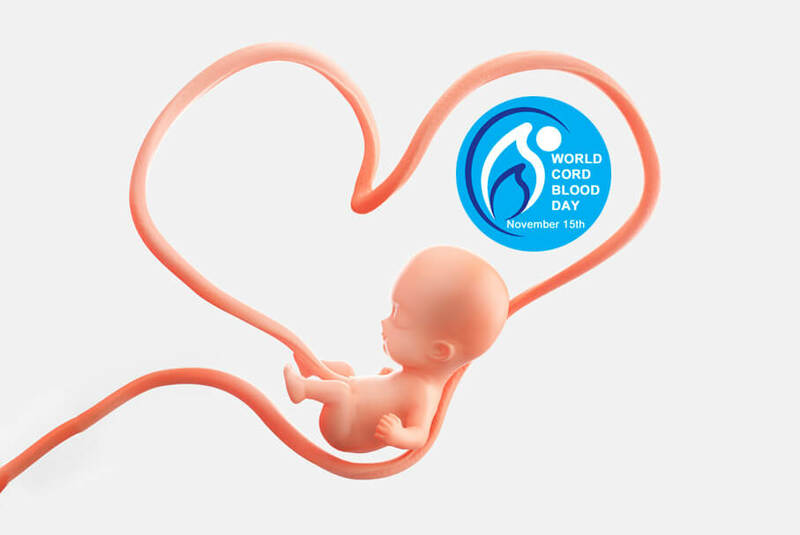 The Save the Cord Foundation in the USA has organised World Cord Blood Day. They intend to raise awareness and improve education about cord blood and cord blood banking. Organisers designed the day to spread the word among healthcare professionals and parents alike. There will be a focus on the latest developments in stem cell science. For example, 4 million families have now stored their baby’s cord blood around the world. Additionally, there have been 6,500 clinical trials exploring stem cell treatments. What is happening on World Cord Blood Day? Organisers have scheduled a virtual conference for World Cord Blood Day, featuring a variety of talks that will be available to watch online. Among them will be an interview with Dr Joanne Kurtzberg from Duke University. Kurtzberg currently spearheads clinical trials for neurological conditions such as autism, cerebral palsy and stroke. Since 2012, nine of Cells4Life’s releases have been sent to Duke for use in trials for ground-breaking therapies. This year, scientists in Tbilisi, Georgia published results that showed they could dramatically reduce the symptoms of a young boy with severe childhood autism. They did so by administering an injection of cord blood into his spine. Little Nikoloz received a diagnosis of autism aged just two, but now attends a regular school and commands a wide vocabulary. Results from a small-scale study in Florida, USA offered hope in August that hearing loss may soon be reversible thanks to the power of cord blood stem cells. Doctors at Florida Children’s Hospital treated children with their own stem cell samples to great effect, with almost half of patients experiencing significant improvements in their auditory abilities. Researchers at Hospital De San Jose in Bogota, Colombia, tested cord blood stem cells on 9 children in their trial. Results suggested that full recovery is possible. By age 5, doctors reported that one of the patients in particular had a ‘good thickness’ to her jaw bone as well as normal teeth. The report concluded that she would not require further surgery. This year, scientists at Duke University, North Carolina expanded research to investigate cord blood therapy for the treatment of adult stroke. 100 patients aged 18-90 are now undergoing cord blood transfusion between 3 and 10 days after their stroke. The trial is designed to specifically focus on patients who have suffered ischemic strokes, which occur when there is a blockage in an artery to the brain. Most strokes are ischemic, so this trial has the potential to substantially improve the lives of millions around the world. In October, a new study by the University of Pittsburgh School of Medicine found that cord blood could extend the lives of children with Krabbe disease. Researchers, led by Dr Maria Escolar, concluded that cord blood transfusions resulted in at least three years of benefits. These benefits included improved motor, cognitive and language skills. 10 of the 18 patients can now walk.